Do you have a reason to factory reset your iPhone but somehow, you have forgotten your password? 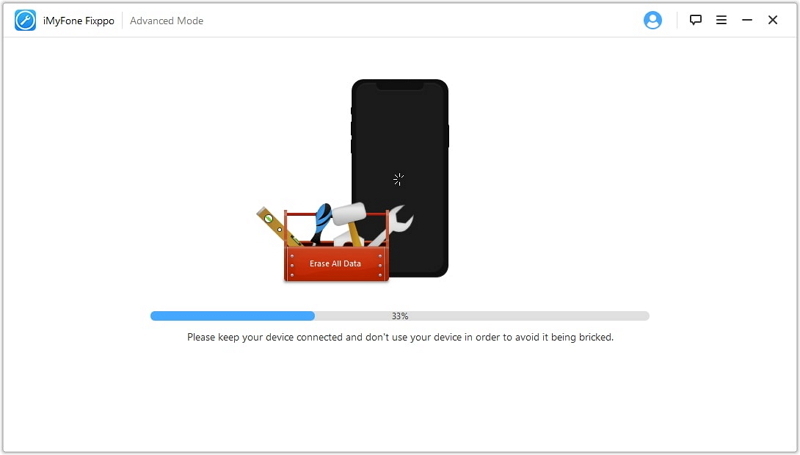 Perhaps you want to sell or transfer your iPhone, or you wish to factory reset it so you can fix a system error or you just want to restore data from iTunes/Cloud backup. Whatever the reason may be, resetting your phone is inevitable, and the phone’s forgotten passcode seems to be the only thing getting in the way of things. What are you going to do? Check out some useful tips below on how to reset your iPhone without a passcode. You can reset your iPhone without the passcode by using iCloud. However, for you to use this method, “Find My iPhone” must be enabled on the phone. 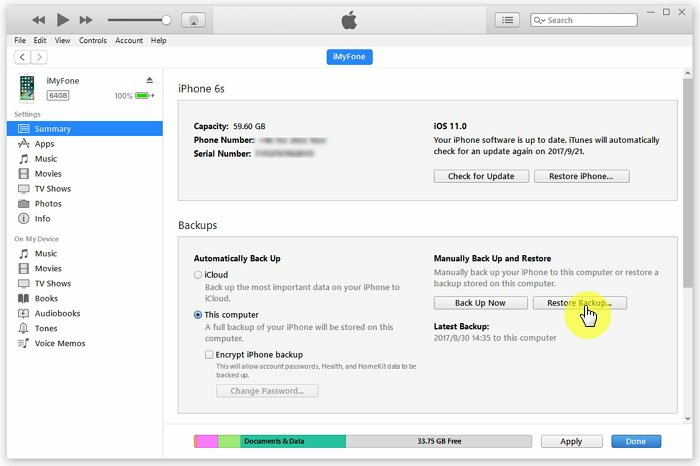 To reset your iPhone using iCloud, follow the steps below. Visit iCloud.com on your web browser. Select your iPhone model from the list of iOS devices listed. Select the option of “Erase iPhone” and all the data on your iPhone will be erased, and your iPhone will reset. Another way to reset your iPhone without passcode is to use Apple’s proprietary software, iTunes. Before you reset your phone, however, you should back it up first so that you will not lose valuable data. Then, check out the steps to follow below on how you can reset your iPhone to factory settings without passcode through iTunes. Connect your iPhone to your MacBook or Windows PC. Launch iTunes and click on “Summary. Tap on “Restore iPhone” and click on “Restore” for confirmation. iTunes will run to check if there are any new updates. If there are, you will have to install them before attempting to reset your iPhone. Click on “Restore and update”. After the Restore and Update process is complete, your iPhone will reboot, and you will be taken to your phone’s home screen. This method is only effective if you have backed up to your iCloud before and have enabled “Find My iPhone” on your iPhone as these will enable Apple to be able to identify that you are the actual user. Navigate to settings and tap “General.” Select “Reset” and select “Erase All Content and Settings”. When your iPhone restarts, you will be taken back to the “Hello” screen like a new iPhone, and you will go through some steps to set up your iPhone. 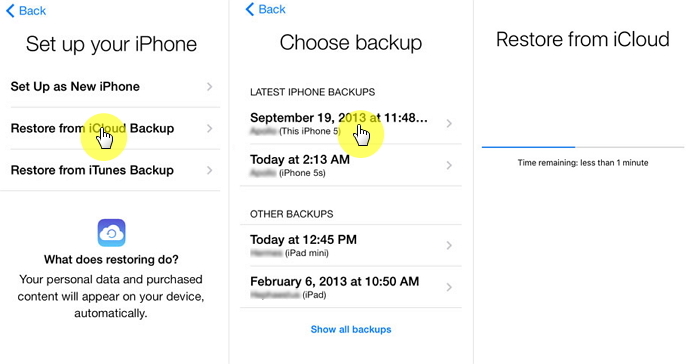 On the “Apps Data” screen, tap “Restore from Cloud Backup” and then select “Choose Backup”. 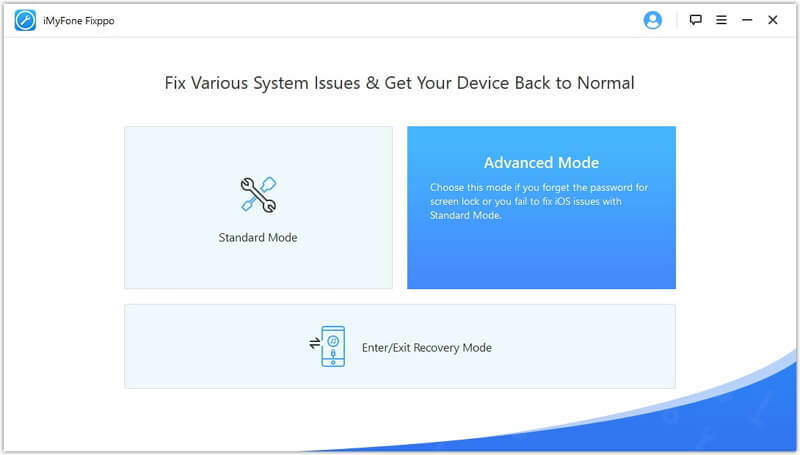 If you do not wish to go through the process of resetting your iPhone without passcode using iCloud or iTunes, you can reset your phone with a third-party tool, iMyFone Fixppo. iMyFone Fixppo is a professional tool used to fix any iOS problems. It can be used to fix a wide variety of issues and resetting your iPhone without passcode is one of them. Fix All iOS issues without erasing the current data. Reset iPhone/iPad without password in one click. Fix iOS issues such as iPhone black/white scree, recovery mode, dfu mode, Apple logo, etc. What makes it better than iTunes is that it can exit/enter recovery mode in one click. It is developed by iMyFone that is highly recommended by famous sites such as Macworld, Cult of Mac, Payetteforward, Makeuseof, etc. Step 1. Download and Install iMyFone Fixppo Software. Launch Fixppo and select “Advanced Mode” from the main menu interface. Step 2. Connect your iPhone to the computer. 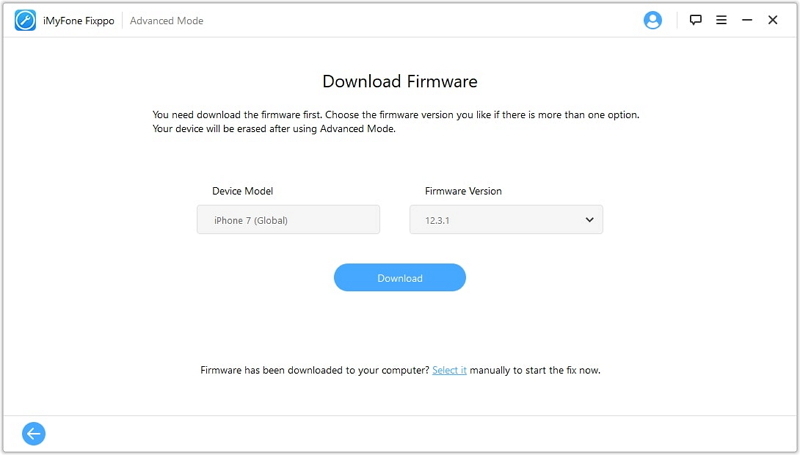 Download the firmware compatible with your iPhone model. Step 3. Click on “Start” to begin fixing your iPhone, and when this is finished, your iPhone will be reset without password. You can back up your iPhone with iTunes or iCloud, but there is even a much better alternative which is iTransor formerly known as D-Port Pro. This tool is capable of backing up and restoring your contacts, WhatsApp data, SMS from iCloud, iTunes or iMyFone backups without losing data. iTransor is compatible with all iOS devices and versions including the latest ones such as iPhone XSMax and iOS 12. Sometimes, resetting your iPhone may be important to get your iPhone back in working order, and we expect that these tips above will help you do this without stress. Download iMyFone Fixppo to reset your iPhone without passcode and iTunes or iCloud so you can get your iPhone back to normal.